The winter sports season is beginning and you are wondering which small cozy nest to choose for your Alpine stay? Here is a selection of new accommodations, that are all beautiful, hot that and get the buzz going this winter. Two prestigious addresses and two hotels with a new concept. At least, you will have something to talk about after a week in the mountains when you get back at the office, even if white gold is not to go this year! 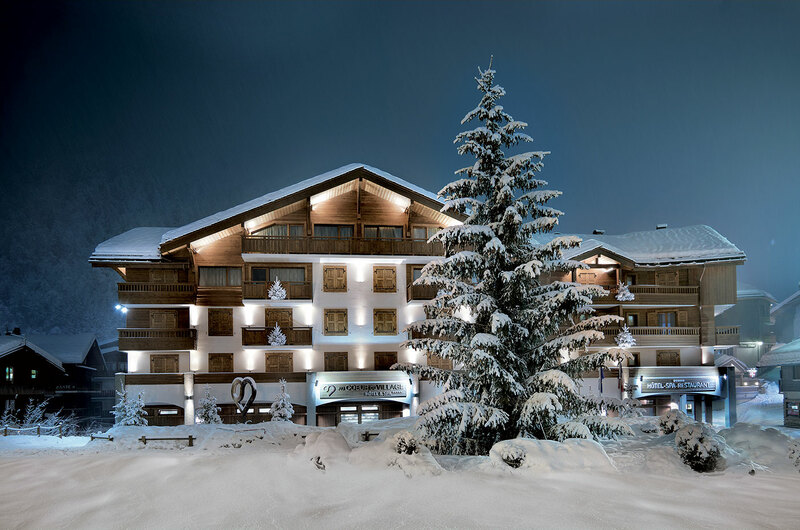 Double champion title for the hotel le Cœur du village of La Clusaz! With its 48 suites and six rooms, it is the largest Relais & Chateau in Europe. Just that ! And it is also the first 5 star hotel of the Massif des Aravis, a few minutes from Annecy. Not bad for this establishment which constantly offers innovations years after years. As part of the 2017 novelties, the family chalet that has just been attached to the main building. Three bedrooms, a large fully equipped kitchen that opens onto a large living room with a fireplace. The whole structure on two floors served by a privative elevator. The Chalet is a cozy nest for a family who wishes to meet for a few days «under the snow”. A cozy loft where you can order the dishes of the chef Thomas Eudier who officiates in the two restaurants of the hotel. A gastronomic table is added to the gourmet brewery (with a ripening cellar where you can pick up your own cheeses!). In this restaurant, logically called Le Cinq, you can taste high-end cuisine and the chef does not hide his will to win a first star … New, also, the pastry shop that is offered to residents. With the pastry chef Vincent Deforce, children from 4 years-old and their parents have access to the kitchens where they learn how to make the most varied pastries. Take the best of youth hostels and classic hotels. Place it all in a big mixer, incorporate a good dose of high tech connectivity and a pinch of audacity. And you have the recipe for the Moontain Hostel which has just opened in Oz-en-Oisans. A new concept for young travelers looking for a good plan to stay in the mountains for cheap and meet people. For them, “dormitory” rooms, between four and eight beds, all placed in boxes equipped with USB, individual reading light and a curtain to guarantee privacy. But families can also be interested in the Moontain Hostel, which offers rooms with up to five beds to house the whole tribe. Finally, couples can stay in the individual rooms equipped with a large bed, a private shower and WC. In short, all types of travelers on a tight budget are concerned by this new brand of accommodation that plans to develop in other resorts. The idea being, as in Oz-en-Oisans, to convert a small, unprofitable family hotel into a modern accommodation offering cheap beds but in a cheerful and modern atmosphere. 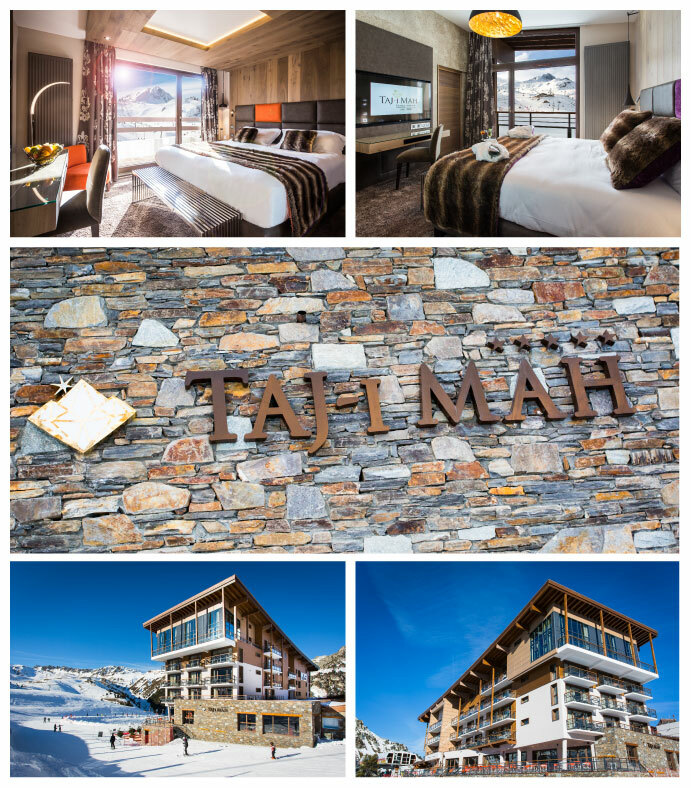 This first family resort, linked to the ski resort of Alpe d’Huez, should serve as a test for this innovative concept that challenges prevailing ideas. 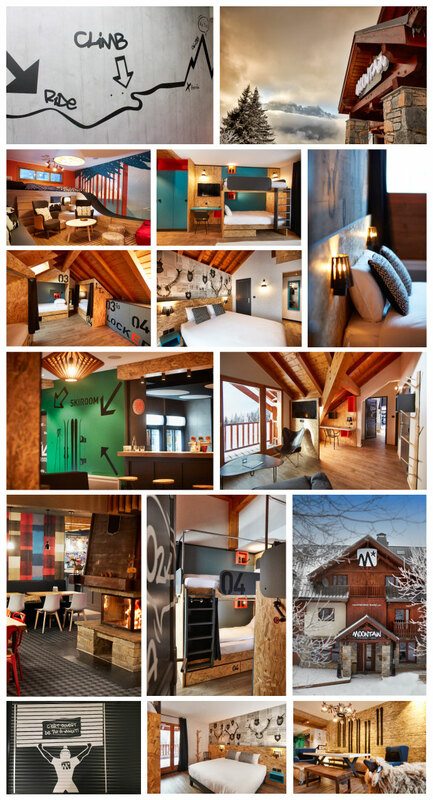 80s and pop culture fan, let’s head to Chamonix for a stay in the new Rocky Pop Hotel! A fun address full of winks to lovers of video games, music and cinema. A luminous sign like in Broadway, we have never seen this in the Alps! The Rocky Pop dares. As soon as we arrive, we are welcomed by R2D2 and C-3PO, the two droids stars of the Star Wars saga. The reception desk is decorated with Michael Jackson or Daft Punk vinyl sleeves. In the elevator and on the placemats, Pac-mans. On the carpet, Space Invaders. A Tetris tissues box in the bathrooms … In short, here is a hotel that is very different from the very “wood and fur » atmosphere of the mountains. The work of the interior architect Leslie Gauthier consists of breaking down the codes of the traditional alpine hut to design a place full of fantasy. The Rocky Pop Hotel is a creation of Romain Trollet, who already owns Heliopic in Chamonix. But here, the atmosphere is very different from this 4 star chic address, as the Rocky Pop is a cheap hotel for families and groups of friends looking for affordable accommodation and a festive atmosphere. The 148 rooms are rather small and sober. No bathtub for example. Simply shower cubicles. But in return, a large free catalog of videos on demand to rest in bed in front of the TV. Anyway, the idea is not to spend too much time in your room but to go skiing (a ski shop is available on site) or to enjoy the atmosphere of the lobby where you can listen to musicians on live in the evening around a very long bar, the main room on the ground floor. A hairdresser’s chair also offers a small cut on request. And in the two outdoor patios you can play petanque or table tennis, watch movies in the open air, dance, laugh, have fun … The Rocky Pop wants to be a friendly hostel where you can come and go according to your desires. The restaurant serves food-truck cuisine in a beautiful enameled tableware. Revisited burgers, very successful pizza and some mountain dishes. A room called “the pack ice”, quieter than the large refectory, allows to sit on large “Japanese” cushions with mountain views. The Rocky Pop is located in Les Houches, the small town close to Chamonix that you can reach via shuttle buses if you do not want to take your car. An address a bit out of the city center. But in return, we sleep from 30 euros per person in a double room. Families can choose duplexes (4 people for a hundred euros per night). And groups love the penthouse which can accommodate up to 12 guests in individual beds (from 10 euros per person at night, an unbeatable rate!). The Rocky Pop offers the best quality-originality-price rate of the Alps and blows a fresh breeze on the mountain hotel industry.